Effective finishing of Stainless Steel is crucial within any industry sector involved with manufacture, production, fabrication, service and repair. Previously, weld cleaning and oxidisation removal was considered arduous, time consuming and even dangerous. 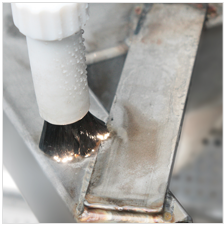 Our electrolytic weld cleaning technology both cleans and passivates metal surfaces with high-current light arcs in one step. Using the carbon fibre brushes and using a mild phosphoric acid (found in food additives and soft drinks), our powerful units make light work when removing burns and oxidisation. Electrolytic welding cleaning (as the process is known) is not only cost effective and extremely quick, but is also very safe in comparison to the hazardous process of applying pickling paste. This method also eradicates the need for costly reworking, that is the case when abrading welds clean. Our units will not only clean your welds, but will polish, passivate and impart your company logo or text into your material. 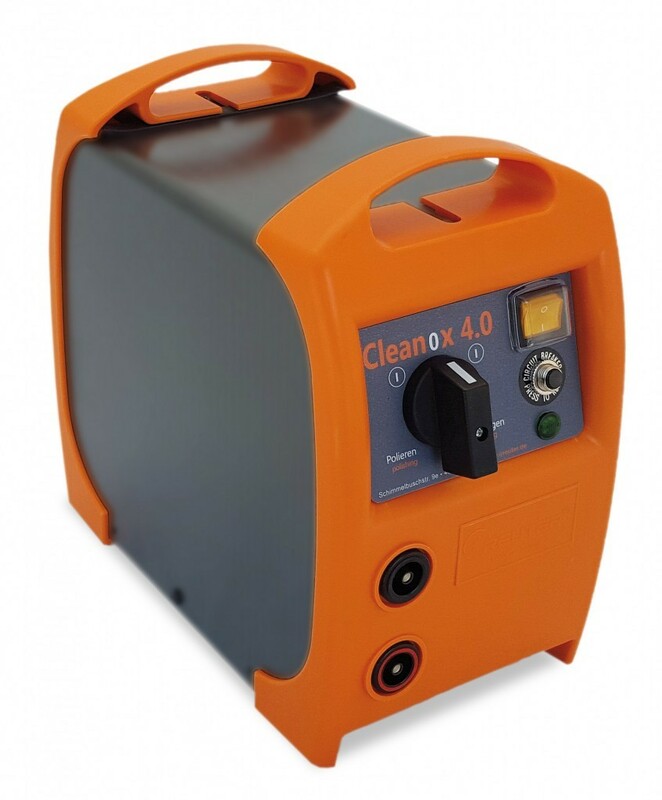 Due to the raw power of our units and our technology, all of our weld-cleaners will fully passivate your material. This prevents any corrosion or oxidisation further down the line. Carbon fibres are excellent conductors. Our carbon fibre brush range contains up to 1.5 million fibres. This enables them to conduct high-power current to the work piece with an energy density of up to 250 Amps per cm2. 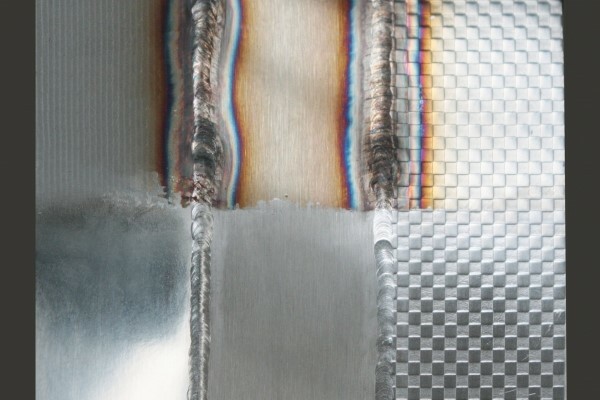 Light arcs form at the tips of the carbon fibres – similar to the process in TIG welding. These millions of small electrical charges are electronically limited to a length of 5 μm. They remove tarnish colours, oxidation layers and even minor scaling at lightning speed without damaging the surface. The electrolyte liquid is used to increase electrical conductivity and provide cooling. Evaporation generates a protective gas atmosphere that protects against new corrosion. The split-off oxygen forms chromium dioxide during the cleaning process – which restores the protective passivation layer! The cleaning effect is not achieved by etching or pickling, but almost exclusively through the extremely high energy density. Our cleaning electrolyte is the non-poisonous E338 food additive – which is also used in soft drinks. Typically, our brushes will have a working life span of 60-80 hours. Our technology has AC/DC variable current that facilitates direct current (DC) mode for high gloss polishing solution. Strong discolouration can be removed or evened out and dull areas on both sides of the heat-impact zone can be treated to the desired level of gloss. A stencil or label printer can be used to produce individual logo’s, images or text on your work pieces. Dark marking applies an oxidation layer to the surface, light marking removes parts of the surface – like engraving, and will leave the same floorless finish. Both methods are durable and resistant against heat, chemicals and abrasion – and are therefore often used for surgical instruments, tools, food production machinery. Not only will you save time and money in manufacturing costs by using one of our units, they all have a very low cost to run giving you a much quicker return on your investment. Average ROI 5-6 months. Our weld cleaning units have replaced the dangerous process of using pickling paste in hundreds of business across the UK and Ireland. Health and Safety in the work place is taken very seriously and industry standards are always being amended. Clients who are aware of the dangers can take steps to minimise accidents within the work place by using our technology. If you wish to discuss this further with a member of our technical team please give us a call today. Pickling pastes contain a combination of hydrofluoric acid and nitric acid which can cause serious burn injuries. 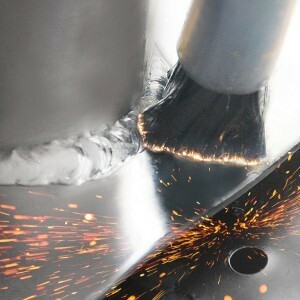 They are primarily used to post-weld clean stainless steels and can be applied by brush or by a spray on process. Their use is relatively widespread amongst stainless steel fabricators although they tend to be used infrequently. As a consequence they are often overlooked by employers when conducting assessments under the Control of Substances Hazardous to Health Regulations (COSHH).